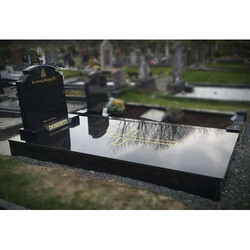 We are engaged in offering a quality approved range of Granite Angle Headstone. We process granite to present an array of monuments or memorials into different shapes. The different shapes that we carve include serp, die, ogee, apex, oval, single heart, double heart headstone, marker, bevel marker, slant, bevel slant, book monument, roof top headstone, diamond headstone, saddle monument etc. We also export our range to global markets across UK, USA and Europe styles. Banking on the skills of our qualified team of professionals, we are involved in providing Angle Engraved Tombstone. 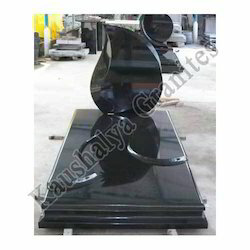 In order to keep pace with the never ending demands of customers, we are involved into offering wide range of Granite Tombstone. We have carved a niche amongst the most dominant names in this domain, engaged in offering Granite Tombstone. Tombstones are made up of different colors for buyers need. Design and shapes of the Tombstones which looks different for country to country but the feeling is same.